The new library is configured as a six-story building in accordance with the design by the architecture firms AtelierOslo and Lund Hagem Arkitekter. The main architectural concept is based on the large library space, which runs through the center and extends upward across each floor. The library is to have a translucent facade, whereby the top floor juts out and opens up toward the city center. The facade columns stand three feet apart. Not only do they provide shade when the sun is low, they are also the basis for the desired effects of incident light. The key requirement when designing the library was for the building to take the lead as part of an investment program relating to energy efficiency and greenhouse gas emissions. The ground floor facade of the halls and entrance area is a steel post and beam design with triple glazing. The surfaces of the facades on the upper stories, in which the library rooms are located, are realized in a completely new form and material concept. 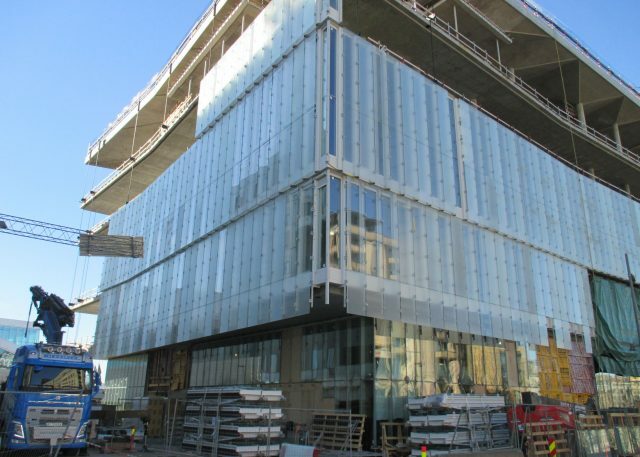 The facade consists of solid columns with a diameter of approximately 20 inches and central triple-pane insulating glass. 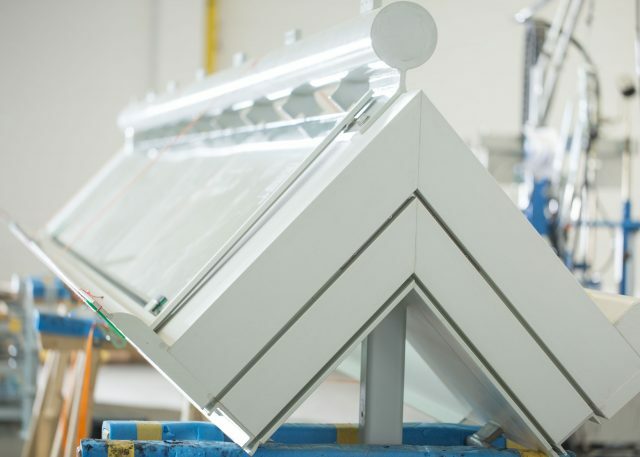 This base element has a retaining construction to accommodate panes of laminated safety glass, with lighting features on the inside and outside, which can be opened for cleaning and maintenance purposes. The idea was to design a facade system which can be executed using the element construction method. 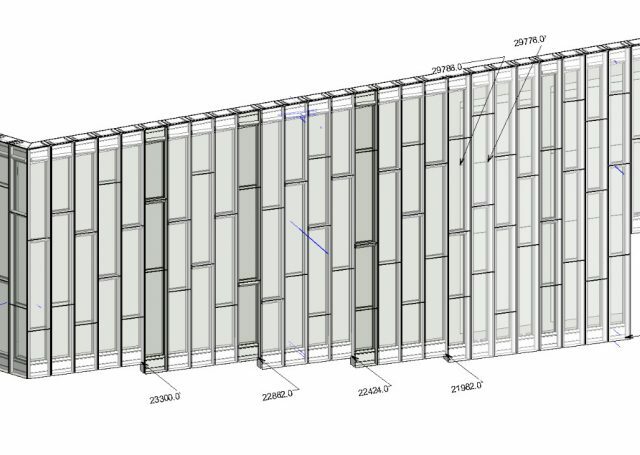 The vertical facade columns consist of fire protection-classified, glass fiber reinforced plastic and are filled with heat insulation. 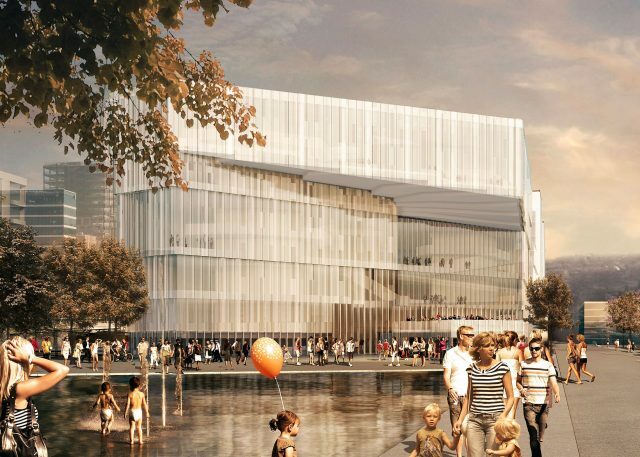 The excellent insulating properties of GFRP mean that the facade of the new Oslo Public Library is able to meet high thermal and climatic requirements. The feasibility of making GFRP facade profiles by extrusion represented a particular challenge. Lengthy trials and test runs on tolerances and surface properties eventually led to the desired outcome. The building envelope is a completely new design in terms of the materials used and the facade system as a whole. Series of trials were conducted here, ranging all the way from tensile testing on GFRP in general through tests on fasteners and connectors to leak tests on facade elements. Due to the complexity of the new development, models were built for the individual design phases. 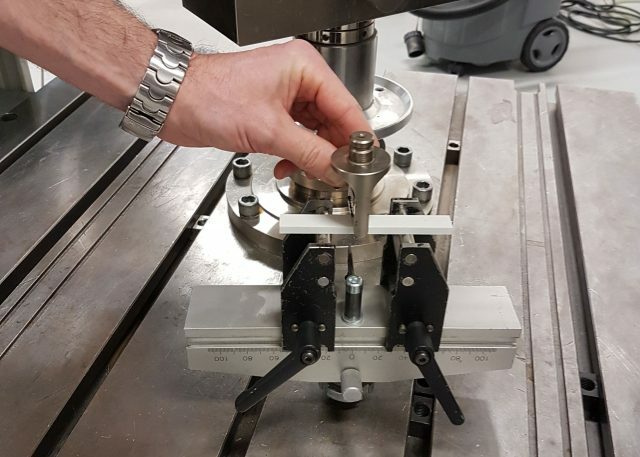 The first modeled the surface properties of the material, the tolerances and the connector systems. These were followed by visual models and elements for testing airtightness and watertightness. The individual extruded GFRP profiles were fastened together to form a single facade element. This was filled with triple-pane insulating glass and statically bonded. 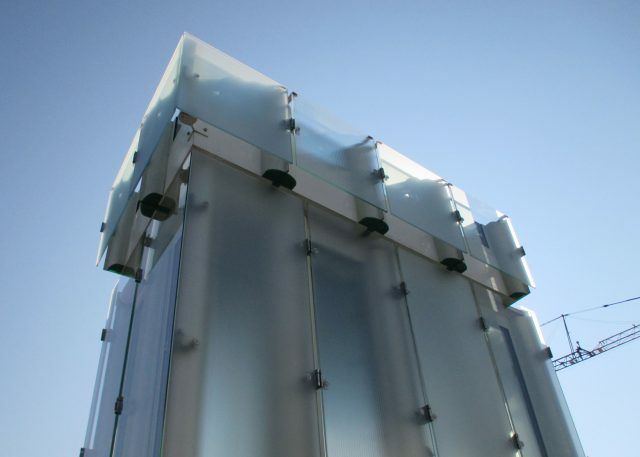 The internal and external laminated safety glass units were fastened to the element with aluminum fittings. Depending on their position on the building, the prefabricated elements were 3 feet wide and between 13 and 39 feet high. Consoles were affixed to the ceiling and floor on every level of the building. The fully prefabricated facade elements were lifted into place with the aid of a crane and work platforms set up outside and fitted with element seals. A maintenance plan which reflects the nature of the materials and systems is being drawn up for the utilization and operation of the building. This defines the measures required on a regular basis and the maintenance and repair cycles.